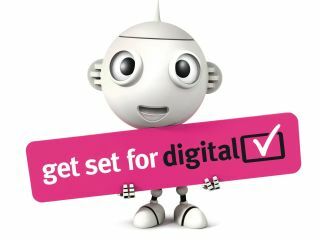 The rolling digital switchover has left many in more rural parts of the Scottish Borders underwhelmed, with nearly half of the region only receiving half of the channels they hoped for. According to watchdog Consumer Focus Scotland, literature may have been too focused on those with an internet connection, and the 47 per cent of people getting their television through relay transmitters have just 20 channels, rather than the 40 received by some of those next to primary transmitters. This has left many angry, and although the report notes that the non-profit managers of the project Digital UK had established a 'solid local presence', there have been suggestions that there had been rumblings of discrimination. "…awareness is one thing and understanding of what's involved is quite another", said Trisha McAuley of Consumer Focus Scotland. "Our concern is that too much of the marketing material was too general and that a huge emphasis was placed on people going to their website which many older and less well-off people were not able to, or did not want to, access. "The biggest divide in the Borders was in the fact that 47% of homes, served by relay transmitters, can only get half of the available channels - something that many diarists regarded as discriminating against them for living in more rural places." TechRadar has contacted Digital UK for its response.